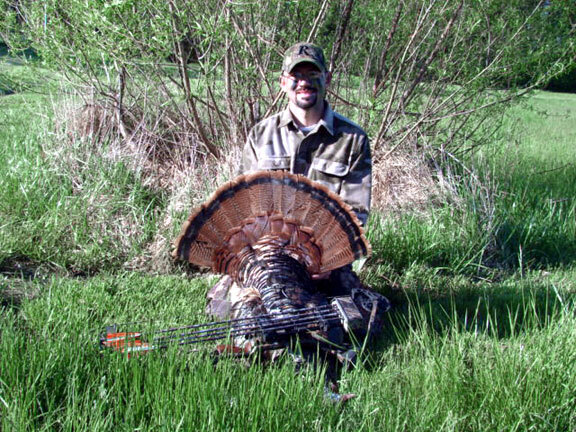 Iowa turkey hunting season within Mid-America Hunting Association receives little pressure due to Iowa’s tag costs and limited spring season. 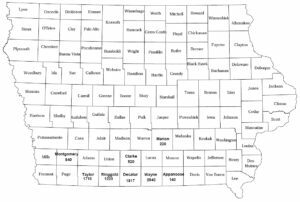 With Iowa’s broken period seasons overlapping Kansas and Missouri any one could easily plan a multiple state spring season hunt on one trip. Success comes from having more than one spot, more than one flock to hunt. Each should have at least two known flocks on different spots before each spring season. If getting success on any first spot, good job. If not, there is no need to keep pressuring the same flock. Move on to another, return to the first later if required. We are careful to insure reasonable expectations about our hunt quality. We occupy a range between a hunter owning and controlling his own large acreage to that of public lands. We do have pressure on MAHA lease land. It is greater than that of private land hunted by one individual. It is far less than public lands. Trust we as a business, not a hunting club, we have to provide each customer a good experience to insure repeat business/hunters. That service is good hunts. Compare Association pressure numbers to our spring season statistics as well as to testimonial to gain a more complete understanding of our hunt quality. Iowa spring season gives yet one more option to Association members. As it has been largely under used it is due to only that there are many other options to choose from. Not from a lack of Iowa turkey hunting opportunity, land or time available. For those who truly want to pursue spring toms having an Iowa tag generally means one more tom. Shot size is limited to 4-8 shot. Only one turkey tag, hence one tom per non-resident. Residents may secure up to two tags. 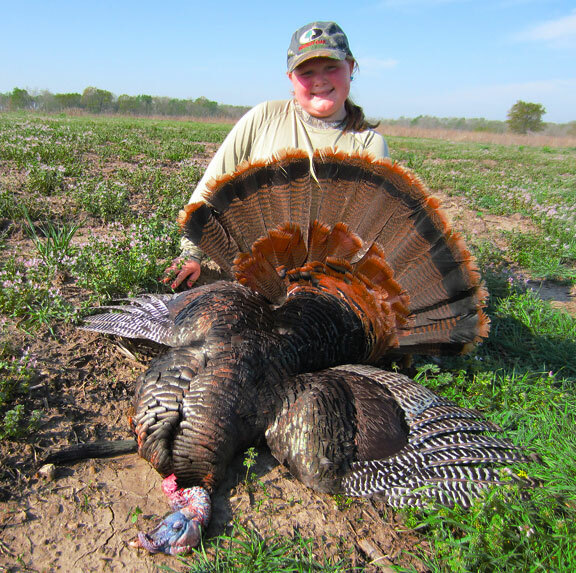 Non-residents turkey hunters may apply for tags by telephone, call 515-281-8688. Application deadline is typically near end of January each year. For those that have missed Iowa’s draw deadline there have been occasions in past seasons where not all draw tags were applied for. Left over tags were available for over counter purchase on a first come first served basis. Spring turkey season is separated by zones. MAHA private lease land is in spring season zone #4 shown here. Highways 59 is its western boundary and 80 its northern boundary of zone #4. Right. 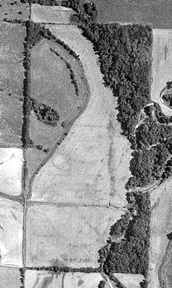 Typical south-central Iowa turkey habitat is more brush than trees, more open farm ground than wooded. Not our best, not our worst. A representative average ground. Brown, winter aerials show without exaggeration of summer time green foliage cover quality. We find ourselves in a constant reminder mode of new to central mid-west self guided hunters our prime hunting is within agricultural zones where 50% farm land use, meaning crop fields, is normal. This open land well supports setup and call hunters. It allows run & gun folks to be quickly detected then avoided by most flocks. This example is an 80 acre piece which throws many who may be accustomed to larger tracts of land. We choose to undersell rather than only illustrate what many would consider best examples. Average acre size per member per day is a 1/4 section, 1/2 x 1/2 mile square of 160 acres. Our single largest piece of land dedicated to a single hunter a not broken by one mile road grid system is 640 acres. All farms have a hot spot or two and this one is no different. 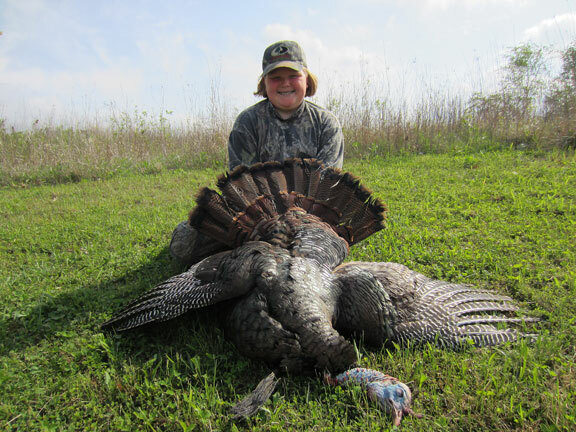 Mid-America Hunting Association wild Iowa turkey hunting allow average do it yourself hunters a chance to enjoy his hunts as he sees fit. Contrast this with a guide service. Any who has his own skills will find more flexibility of selecting when put a blind. Plus having more private controlled lease land access to hunt over than any other option to be found. That is true for our Iowa hunting land as it is in Missouri and Kansas.